A well-known nineteenth-century abolitionist and former slave, William Wells Brown was a prolific writer and lecturer who captivated audiences with readings of his drama The Escape; or, a Leap for Freedom (1858). The first published play by an African American writer, The Escape explored the complexities of American culture at a time when tensions between North and South were about to explode into the Civil War. This new volume presents the first-edition text of Brown’s play and features an extensive introduction that establishes the work’s continuing significance. The Escape centers on the attempted sexual violation of a slave and involves many characters of mixed race, through which Brown commented on such themes as moral decay, white racism, and black self-determination. Rich in action and faithful in dialect, it raises issues relating not only to race but also to gender by including concepts of black and white masculinity and the culture of southern white and enslaved women. It portrays a world in which slavery provided a convenient means of distinguishing between the white North and the white South, allowing northerners to express moral sentiments without recognizing or addressing the racial prejudice pervasive among whites in both regions. John Ernest’s introductory essay balances the play’s historical and literary contexts, including information on Brown and his career, as well as on slavery, abolitionism, and sectional politics. It also discusses the legends and realities of the Underground Railroad, examines the role of antebellum performance art—including blackface minstrelsy and stage versions of Uncle Tom’s Cabin—in the construction of race and national identity, and provides an introduction to theories of identity as performance. A century and a half after its initial appearance, The Escape remains essential reading for students of African American literature. Ernest’s keen analysis of this classic play will enrich readers’ appreciation of both the drama itself and the era in which it appeared. 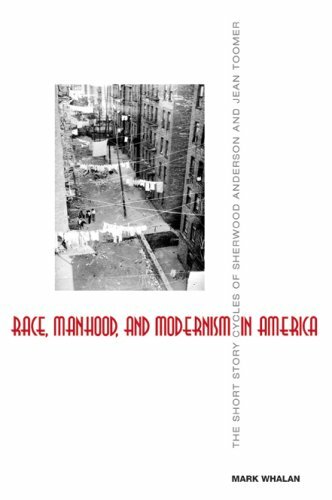 Race, Manhood, and Modernism in America offers the first extended comparison between American writers Sherwood Anderson (1876-1941) and Jean Toomer (1894-1967), examining their engagement with the ideas of “Young American” writers and critics such as Van Wyck Brooks, Paul Rosenfeld, and Waldo Frank. This distinctively modernist school was developing unique visions of how race, gender, and region would be transformed as America entered an age of mass consumerism. Focusing on Anderson’s Winesburg, Ohio (1919), and Toomer’s Cane (1923), Race, Manhood, and Modernism in America brings Anderson and Toomer together in a way that allows for a thorough historical and social contextualization that is often missing from assessments of these two literary talents and of modernism as a whole. The book suggests how the gay subcultures of Chicago and the traumatic events of the Great War provoked Anderson’s anxieties over the future of male gender identity, anxieties that are reflected in Winesburg, Ohio. Mark Whalan discusses Anderson’s primitivistic attraction to African American communities and his ambivalent attitudes toward race, attitudes that were embedded in the changing cultural and gendered landscape of mass mechanical production. The book next examines how Toomer aimed to broaden the racial basis of American cultural nationalism, often inspired by the same cultural critics who had influenced Anderson. He rejected the ethnographically based model of tapping the “buried cultures” of ethnic minorities developed by his mentor, Waldo Frank, and also parted with the “folk” aesthetic endorsed by intellectuals of the Harlem Renaissance. Instead, Toomer’’ monumental Cane turned to discourses of physical culture, machine technology, and illegitimacy as ways of conceiving of a new type of manhood that refashioned commonplace notions of racial identity. Taken together, these discussions provide a fresh, interdisciplinary appraisal of the importance of race to “Young America,” suggest provocative new directions for scholarship, and give new insight into some of the most crucial texts of U.S. interracial modernism. The past two decades have seen a growing influx of biracial discourse in fiction, memoir, and theory, and since the 2008 election of Barack Obama to the presidency, debates over whether America has entered a “post-racial” phase have set the media abuzz. In this penetrating and provocative study, Sika A. Dagbovie-Mullins adds a new dimension to this dialogue as she investigates the ways in which various mixed-race writers and public figures have redefined both “blackness” and “whiteness” by invoking multiple racial identities. 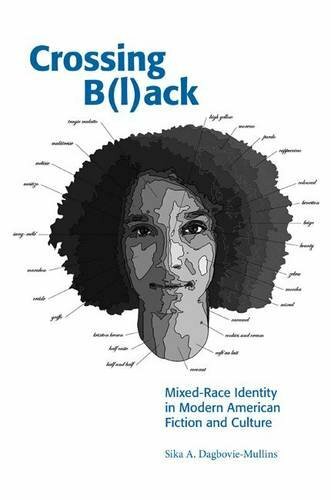 A book that promises to spark new debate and thoughtful reconsiderations of an especially timely topic, Crossing B(l)ack recognizes and investigates assertions of a black-centered mixed-race identity that does not divorce a premodern racial identity from a postmodern racial fluidity. The Paper Bag Principle: Class, Colorism, and Rumor and the Case of Black Washington, D.C. While a few studies have dealt with complexion consciousness in black communities, there has, to date, been no study that has catalogued how the belief systems of members of a black community have influenced the shaping of its institutions, organizations, and neighborhoods. Audrey Kerr examines how these folk beliefs—exemplified by the infamous “paper bag tests”—inform color discrimination intraracially. Kerr argues that proximity to whiteness (in hue) and wealth have helped create two black Washingtons and that the black community, at various times in history, replicated “Jim Crowism” internally to create some standard of exceptionalism in education and social organization. Kerr further contends that within the nomenclature of African Americans, folklore represents a complex negotiation of racism written in ritual, legend, myth, folk poetry, and folk song that captures “boundary building” within African American communities. The Paper Bag Principle focuses on three objectives: to record lore related to the “paper bag principle” (the set of attitudes that granted blacks with light skin higher status in black communities); to investigate the impact that this “principle” has had on the development of black community consciousness; and to link this material to power that results from proximity to whiteness. The Paper Bag Principle is sure to appeal to scholars and historians interested in African American studies, cultural studies, oral history, folklore, and ethnic and urban studies. Consisting of eight original essays by noted scholars, this volume examines the history and culture of a unique population—those peoples in the Gulf region who descended from the colonial and antebellum free persons of color and who represent the middle ground in the region’s “tri-racial” social order. Although the book begins with an analysis of the Creole population’s origins in the New Orleans area, the subsequent essays focus on the Creole communities outside that city. Throughout the volume the contributors demonstrate the persistence of the Creole ethnic identity. Included are examinations of Creole populations in the cities of Pensacola and Mobile, as well as those in the bayou and prairie regions of Louisiana. In addition to dealing with sociohistorical aspects of the Creole experience, the book features essays that examine language, music, and folklore. The concluding essay, which cuts across several disciplines, covers the late-twentieth-century revitalization of the Gulf Creole communities. With its multidimensional, cross-disciplinary emphasis, Creoles of Color of the Gulf South constitutes an especially notable contribution to the current scholarly interest in ethnic minorities and racial dynamics in American history and culture. Contributors: Barry Jean Ancelet, Carl A. Brasseaux, James H. Dormon, Virginia Meacham Gould, Kimberly S. Hanger, Loren Schweninger, Nicholas R. Spitzer, Albert Valdman. The electronic book (E-Book) is available now. An intensely dramatic true story, Forsaking All Others recounts the fascinating case of an interracial couple who attempted—in defiance of society’s laws and conventions—to formalize their relationship in the post-Reconstruction South. It was an affair with tragic consequences, one that entangled the protagonists in a miscegenation trial and, ultimately, a desperate act of revenge. From the mid-1870s to the early 1880s, Isaac Bankston was the proud sheriff of Desha County, Arkansas, a man so prominent and popular that he won five consecutive terms in office. Although he was married with two children, around 1881 he entered into a relationship with Missouri Bradford, an African American woman who bore his child. Some two years later, Missouri and Isaac absconded to Memphis, hoping to begin a new life there together. Although Tennessee lawmakers had made miscegenation a felony, Isaac’s dark complexion enabled the couple to apply successfully for a marriage license and take their vows. Word of the marriage quickly spread, however, and Missouri and Isaac were charged with unlawful cohabitation. An attorney from Desha County, James Coates, came to Memphis to act as special prosecutor in the case. Events then took a surprising turn as Isaac chose to deny his white heritage in order to escape conviction. Despite this victory in court, however, Isaac had been publicly disgraced, and his sense of honor propelled him into a violent confrontation with Coates, the man he considered most responsible for his downfall. 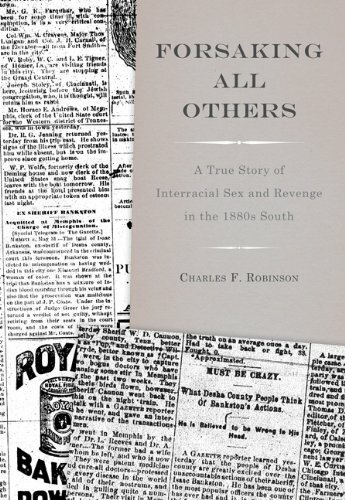 Charles F. Robinson uses Missouri and Isaac’s story to examine key aspects of post-Reconstruction society, from the rise of miscegenation laws and the particular burdens they placed on anyone who chose to circumvent them, to the southern codes of honor that governed both social and individual behavior, especially among white men. But most of all, the book offers a compelling personal narrative with important implications for our supposedly more tolerant times.